I installed OBIEE 11G in my machine and after the first restart faced this issue after which the weblogic server got shutdown. 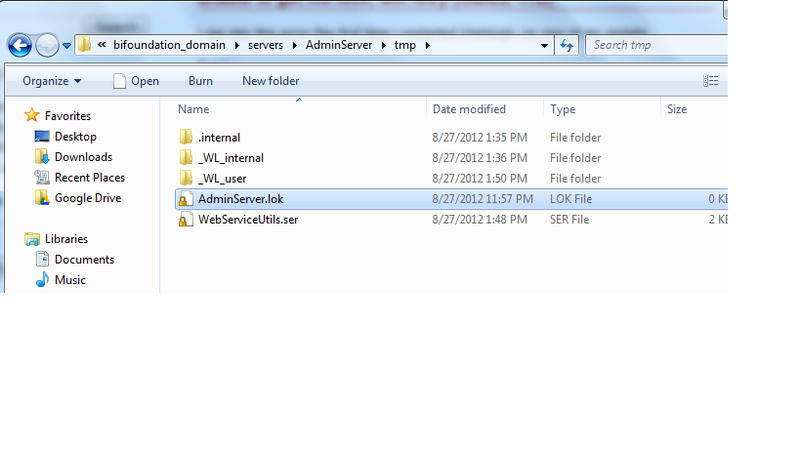 ORACLE_HOME//user_projects/domains/bifoundation_domain/servers/AdminServer/tmp and delete the file. When you later start the services its going to work fine.